November 19, 2013  Though President Lincoln said "the world will little note nor long remember what we say here," his words have lived on. 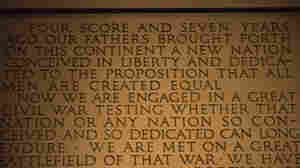 Read them again and listen to historian Eric Foner and NPR staff deliver one of the nation's greatest speeches. November 15, 2013  In Harrisburg, Pa., editors of The Patriot-News this week expressed their regret over what their predecessors wrote 150 years ago. 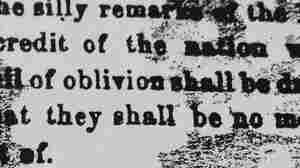 Back then, the newspaper hated Lincoln's address. Now, the editors can't believe what the newspaper said. 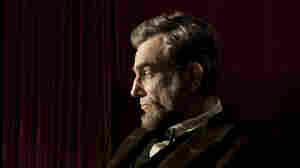 January 10, 2013  The anti-slavery movie has picked up a dozen Oscar nominations. Its resonance may stem partly from the way in which it shows politicians working out a deal on a tough issue — something many Americans ardently wish for today. June 5, 2012  Dr. Charles A. Leale, 23, was in Ford's Theatre that fateful night. He ran to the president's side. 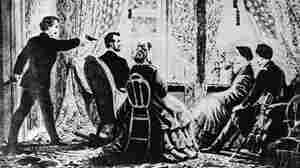 The first thing he ordered for Lincoln was brandy and water. Then he began treating the mortally wounded president. Leale's account had been missing. July 22, 2011  A memorable moment from President Obama's Friday town hall meeting at the University of Maryland, especially for Abraham Lincoln fans, was when the president cited the 16th president to make the point that it's possible to be a person of principle who makes compromises. 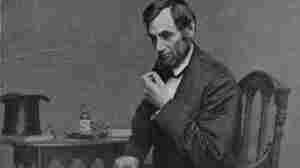 January 25, 2011  The more he looked at a presidential pardon supposedly written on the last day of Abraham Lincoln's life, the more a National Archives researcher suspected it had been tampered with. Now, a historian has admitted doing just that. November 22, 2010  Obama joins the long American tradition of presidents who've been accused of acting like kings. 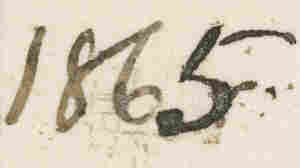 Going all the way back to George Washington, presidents have been accused of putting on royal airs.